While students from low-income families learn at the same rate as their more affluent peers during the school year, they fall behind during the summer when they have less access to reading, science, arts, travel, and other enriching activities. All kids deserve access to the essentials needed for a healthy future: summer programming can help young people develop the skills and access the resources they need to succeed in school and in life. PASE works with community organizations to ensure that our city’s kids have access to summer programs that support them academically, promote literacy, build interest in learning, and teach essential skills such as critical thinking, communication, and creativity. Since 2001, PASE’s Summer Learning Initiative has reached over 100 agencies and nearly 20,000 youth. Check out our Summer Learning video. 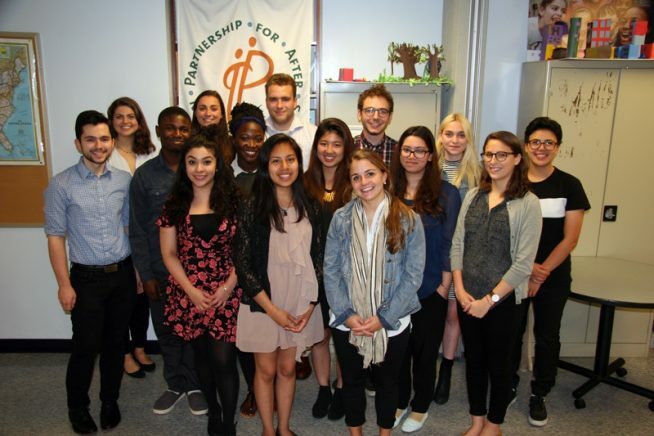 PASE’s Summer Teaching Fellows program is currently supported through Morgan Stanley and generous donations from individual donors and PASE’s Board of Directors. Past supporters of PASE’s Summer Learning Initiative include: the William R. Kenan, Jr. Charitable Trust, the MetLife Foundation, the New York Life Foundation, and the RGK Foundation.